See more objects with the color tan darkkhaki dimgrey darkolivegreen darkolivegreen or see all the colors for this object. This is a Sampler. 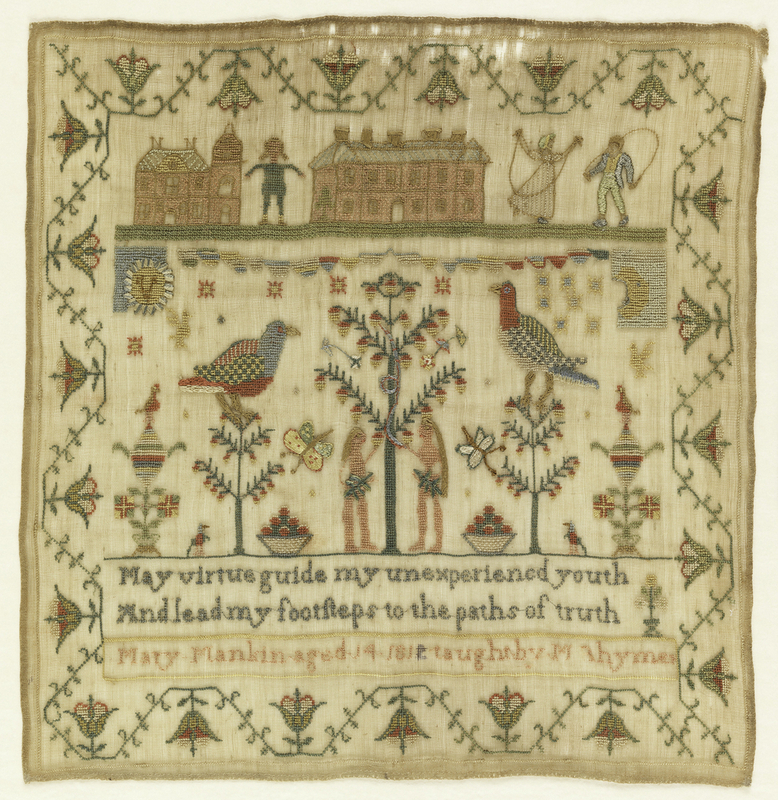 It was embroidered by Mary Mankin. It is dated 1810–19 and we acquired it in 1974. Its medium is silk embroidery on cotton foundation and its technique is counted and uncounted stitches; cross, herringbone, stem, satin, and couching stitches on plain weave foundation. It is a part of the Textiles department. This object was bequest of Rosalie Coe. It is credited Bequest of Rosalie Coe, from the collection inherited from her mother, Eva Johnston Coe.